The Ohaus SD series shipping scales are well-built, portable bench scales designed specifically with affordability and utility in mind. 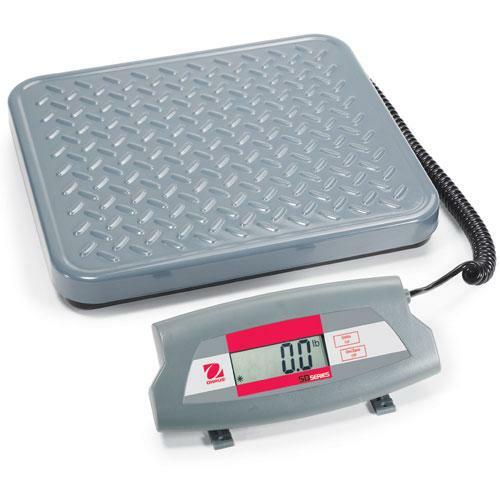 Ideal for home office, mail room, shipping and receiving and general commercial and industrial weighing applications, the Ohaus SD series scales feature a durable painted steel treaded platform, a remote indicator with two tactile function keys, battery operation and flexible mounting capability. A truly portable scale that can be carried and operated in various locations, the Ohaus SD shipping scale is your efficient solution to a variety of weighing needs, when you need it, and where you need it.